There many advantages to storing your videos on the cloud. In addition to making sure they’re never lost, many options integrated players that actually let you watch your videos from your browser. With a good cloud storage service, you can essentially build out your own mobile media center. 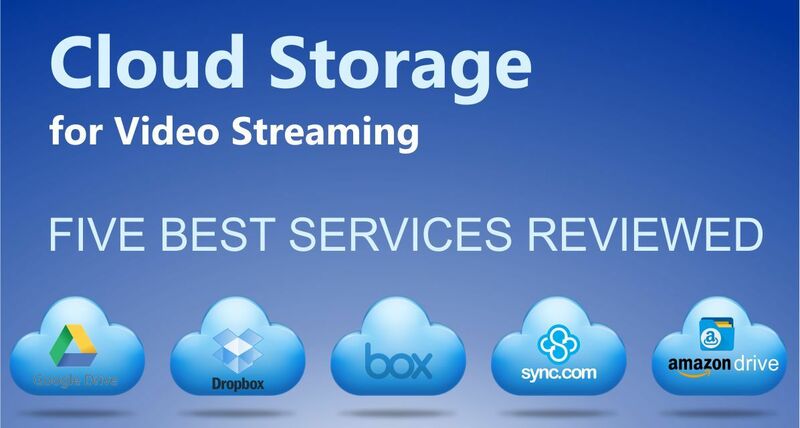 In this article, we’ll introduce you through the some of the best cloud storage for video streaming options available today. 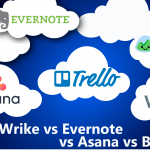 We’ll be focusing on five of our favorites, all big names name contenders in the market: Google Drive, Dropbox, Box, Sync.com and Amazon Drive. With cloud video storage, you can upload any videos you have stored on your PC, Mac, Android or iPhone directly to the cloud. Storing something in the “cloud” usually means you’re storing a copy of your file in a remote server. The data center and your device talk to each other, making sure each always has copy of the most recent version of your video. Generally setting up cloud storage so you can start uploading your videos usually requires that you download an app. On your desktop, this file will create what’s called a “sync folder.” Any videos stored in this sync folder are kept both on your computer’s hard drive and in the data center. If you were to make an edit to your video, those changes would get updated in the cloud in near-real time. The cloud would then transfer the updated file to any other connected device. This is what is known as “synchronization,” or sync, for short. Think of it as a virtual safe and flash drive rolled into one. Syncing your devices with the cloud is an easy way to get your videos onto any device you own with minimal work. It’s much faster than working with USB files or emailing videos. Most email services usually come with severe limits on the size of files you can attach, too. For example, Gmail only lets you attach files up to 25MB in size. With video especially, this can be an issue. 30 seconds of low-quality j-mpeg video can take up about 30MB, putting you over the limit. HD video uses about ten times that mount. 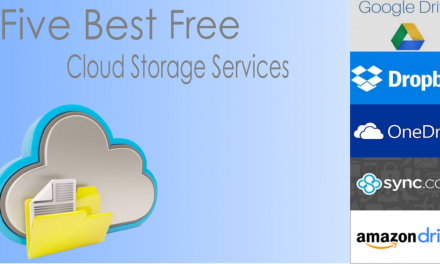 With cloud storage, you don’t have to worry about those restrictions. If you want to share a video, it’s usually just a matter of sending them a URL link via email or text, or even posting it Facebook, Twitter or another social media platform. 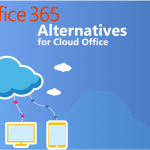 Better yet, many of the more advanced cloud storage tools let you stream your data directly from the cloud. That way, you don’t have to download them to watch. That’s useful if you’re on a friend’s computer. Maybe the biggest advantage to storing your videos in the cloud, though, is that you greatly reduce the chances of ever losing them. When you’re talking about recordings of your child’s first steps, a family vacation or unidentified flying objects in the night sky, that’s a big deal. 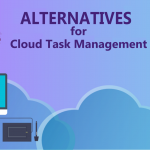 Better yet, many of the more advanced cloud storage tools let you stream your data directly from the cloud. When you’re shopping for cloud storage for video, there are certain things you’ll absolutely want to check for before making a decision. First up, storage space. Most of the good providers now give users buckets of free storage to get started. However, some give you quite a bit more than others. Given that videos take up so much space, paying attention to how much free storage you’ll get before having to pay is going to matter the most to some people. 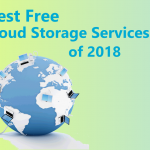 And, in case you would like to go for a free cloud storage, please check five best cloud storage services we’ve reviewed recently. Of course, you’ll want to check out what the pricing model is, too, in case you expect you’ll need more storage. You’ll also want to check on any upload restrictions in terms of file size. 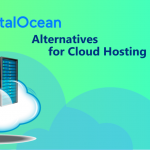 While cloud storage services don’t operate with the same restrictions as email attachments, many services do still cap the size of files you can upload. So, if you’re looking to upload several hours of footage in one file, you might run into some “big” problems. The other thing to pay attention to with cloud storage for video is what platforms are supported. If you think you might be switching from Android to iPhone, or vice versa, at some point, it makes sense to find a cloud storage service that supports both devices. All five services we’ll be looking at next support Windows, Mac OS, Android and iOS. 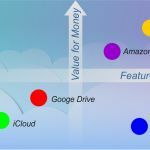 Google Drive stands as one of the top cloud platforms available, mostly due to the popularity of Android devices and the fact that Drive comes already integrated. When you set up your Android device, you create a Google account and automatically get a generous 15GB of free space. If you need more, Google Drive has three tiers for consumers: 100GB for $1.99 per month; 1TB for $9.99 per month; and 10TB for $99.99 per month. As far as limitations go, Google Drive lets you store videos up to 5TB in size. One of the biggest advantages of using Google Drive for video is the number of third-party app integrations the service offers. You can find video players, video file converters and even apps to create and edit videos. There are also apps that let you shoot video from your webcam and store it directly to Google Drive, apps that let you download a video directly from platforms like Facebook, and apps to let you take notes while watching the video. 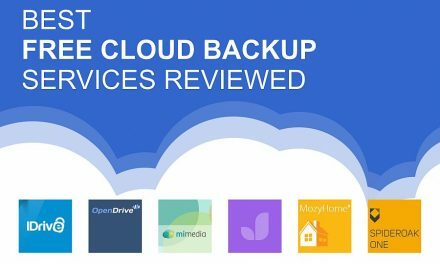 Additionally, we have reviewed five best Google Drive Alternatives to give an insight into other options for storing your videos in the cloud. You can also stream Google Drive videos directly to your television with a Google Chromecast device. 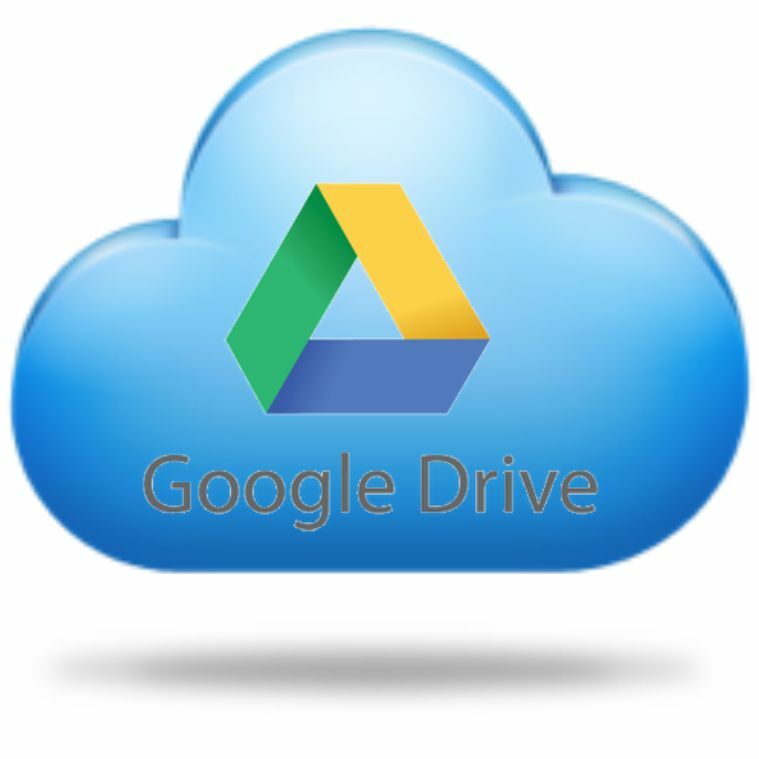 All of these advantages make Google Drive ideal for creating a cloud media center. 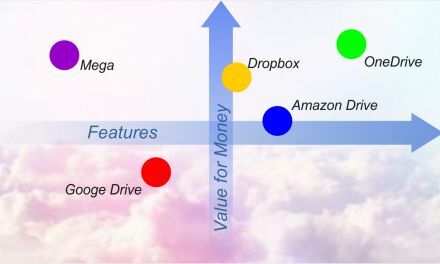 Dropbox pretty much invented the sync model used by most cloud storage tools today. Because of that, it got a big boost in popularity right away and has managed to maintain that momentum by continuing to lead the way in user experience. 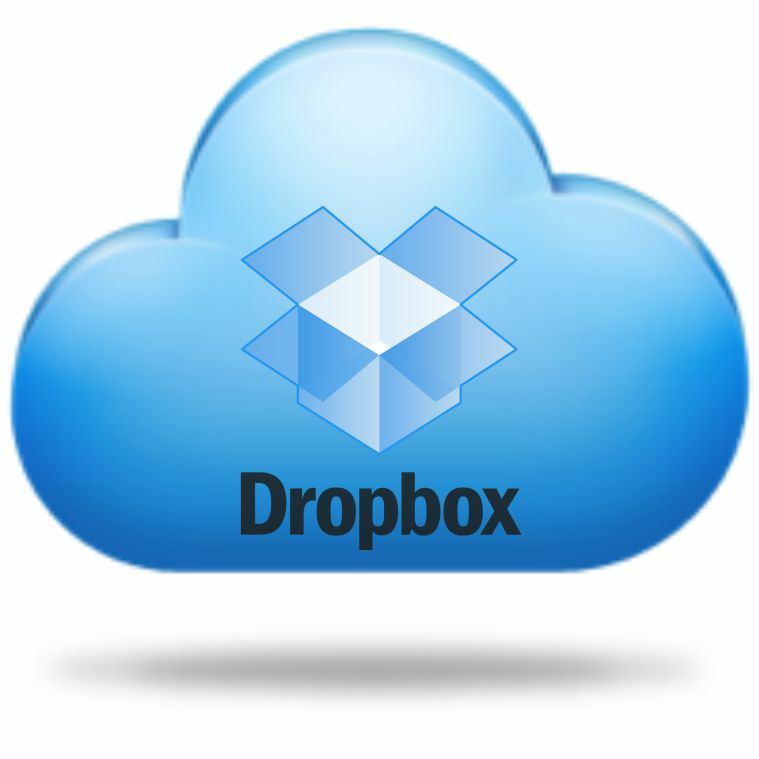 You can also learn more about Dropbox Alternatives. The downside to using Dropbox is that you only get 2GB of free space. If you’re storing videos, that space will run out fast. Also, there’s no 100GB upgrade like there is with Google Drive. You have to go right to 1TB, which costs $9.99 per month. That’s all there is for personal plans, too. If you want more, you’ll need to go with a more expensive team plan. Dropbox give you browser, Android and iOS access, and lets you stream video directly from storage. There is a limitation when watching videos from the browser, though: if you share videos with others, they can only watch the first 15 minutes. Otherwise, they’ll need to download the file or mobile app. 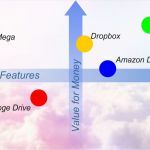 While Dropbox features a nice lineup of third-party integrations, it’s not quite as extensive as what you get with Google Drive. It does, however, work with Chromecast. One of the few advantages Dropbox has over Google Drive for video is that you can upload files up to 20GB in size — so long as you’re on a paid plan. Otherwise, you’re limited by your 2GB of cloud storage. 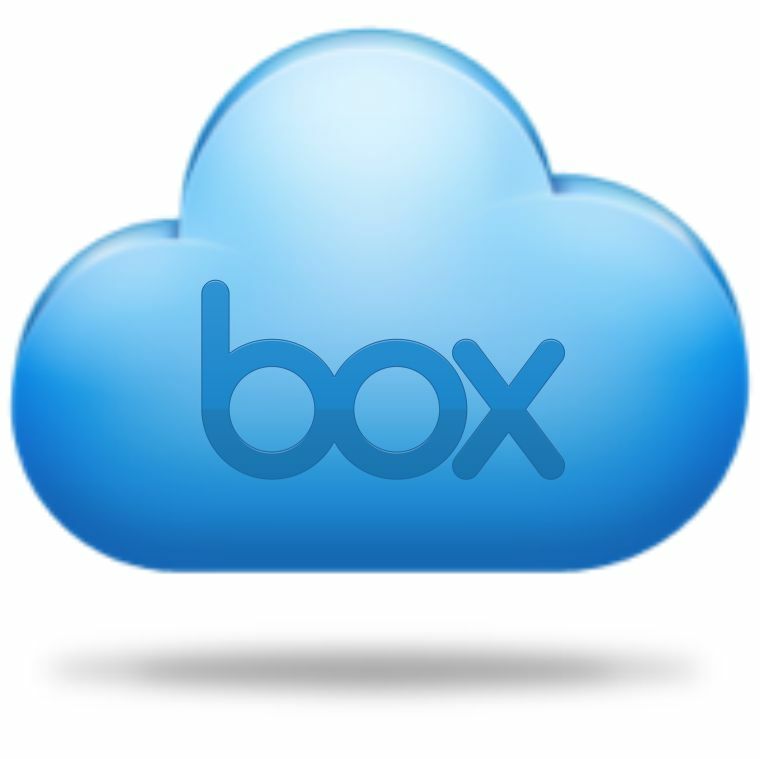 Box cloud storage is primarily targeted at business users but you can use for video storage, too. Sign up to get 10GB free — not as good as Google Drive but better than Dropbox. When it comes to video, though, free Box accounts do have one big limitation: you can’t upload files larger than 250MB. So, if you want to build a cloud media center with Box for your movies, you’ll need to upgrade to a subscription plan, which lets you upload 5GB files. The Box Personal Pro plan is the only option for home consumers, and costs $10 a month. 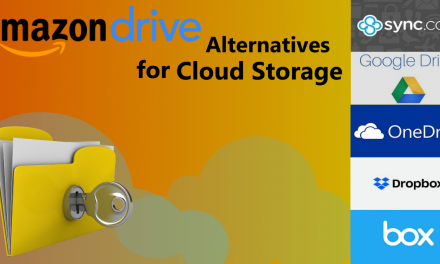 While that price is in line with Google Drive and Dropbox, you only get 100GB of cloud storage. Another limitation with Box is that you can only preview video. To watch full length videos you’ll need to download them or use a third-party integrated apps like AwesomeBox TV, iVideo Player or MediaCloudPlayer. While it doesn’t sport the name recognition of the other services on this list, Sync.com has one big advantage over all of them: security. 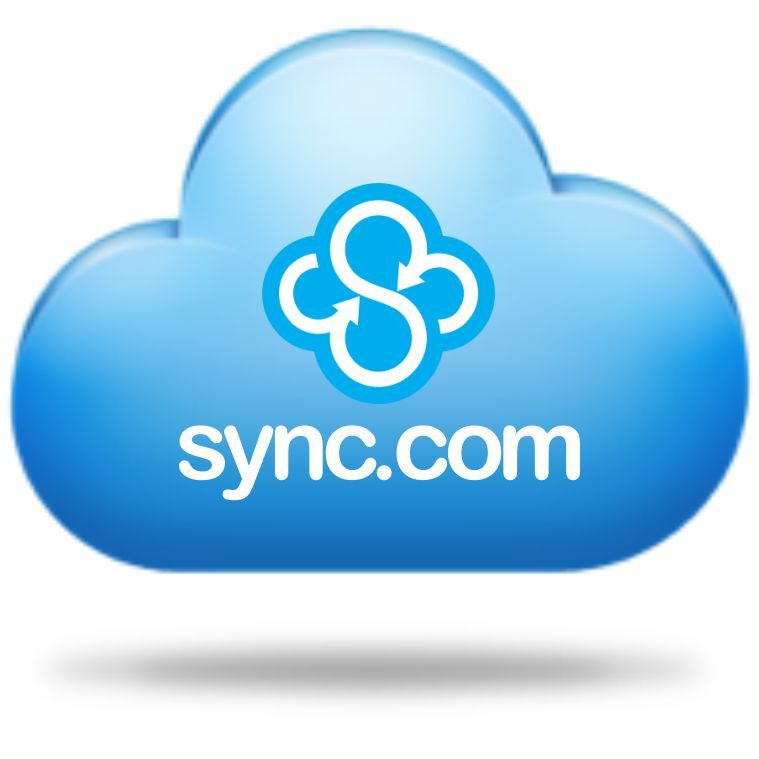 Sync.com is a zero-knowledge tool, meaning you set and keep the encryption key rather than the cloud storage service holding on to it. This approach has a drawback in that if you lose your password, you lose access to the cloud. However, if you’re working with sensitive or private video, this encryption approach is preferable. Another advantage of using Sync.com is that it doesn’t limit your file sizes. Also, in testing, Sync.com really seems to have the architecture to handle uploads of massive videos with impressive efficiency. Meaning, it won’t keep you waiting. Unfortunately, Sync.com doesn’t let you stream videos directly from the browser or mobile app. You have to download them first. This isn’t so much a problem with the service’s design, though, as it is a factor of the service being zero knowledge. Sync.com can’t play the video for you if it can’t decrypt it. 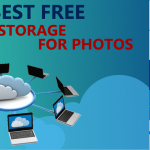 Pricewise, you can get 5GB of cloud storage for free. For $8 a month, you can get 2TB. That’s a pretty good deal, beaten in this roundup only by our final service: Amazon Drive. 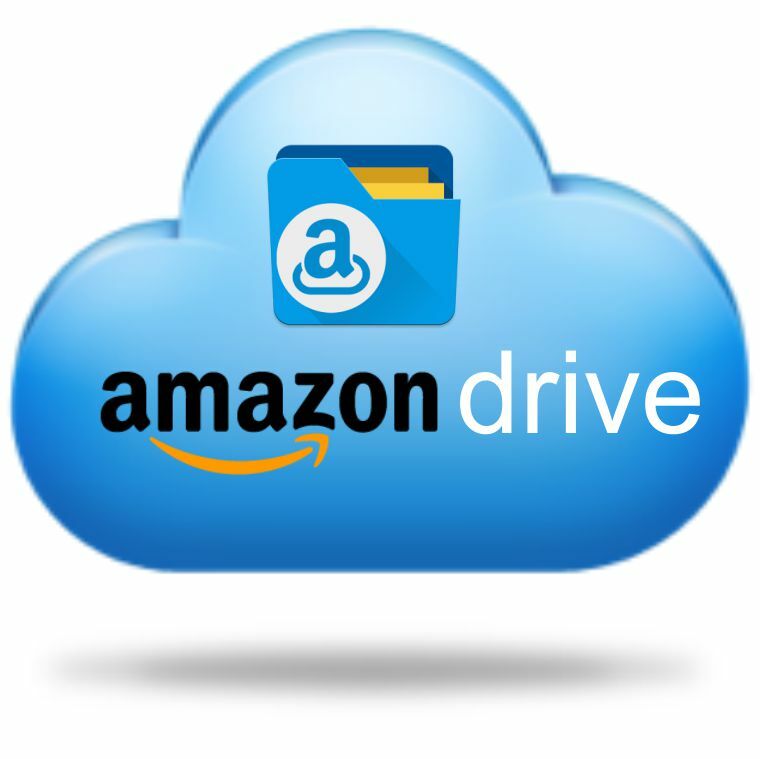 Amazon Drive makes use of Amazon.com’s global storage network to provide fast storage access that’s ideal for uploading and downloading video. If you’ve set up an Amazon Prime account, you’ve got 5GB of cloud storage already with “Prime Photos.” This version of Amazon Drive also lets you store unlimited photos, which is perfect for mobile users. For more storage for your videos, though, you’ll need to upgrade to Amazon’s paid storage plan, which costs $59.99 per year. Not only is that less average cost per month than the other services we’ve looked at, with Amazon Drive you get unlimited cloud storage. From the browser, you’re limited to uploading videos that are 2GB or less in size. However, from your desktop’s Amazon Drive sync folder, you can add files up to 49GB. While Amazon Drive doesn’t have the integrations that Google Drive does, it doesn’t really need them. Like Google Drive and Dropbox, Amazon Drive lets you playback videos right from your browser without having to mess around with third-party apps. Having a dedicated video player for your cloud videos seem nice? Amazon’s Instant Video app, which most people use to rent or buy movies and television shows, lets you watch you cloud-stored videos, too. With it, you can watch videos on your mobile device or stream to your TV with Amazon Fire. 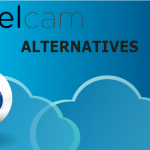 There is also an alternative to paid cloud storages for video streaming we’ve reviewed above. 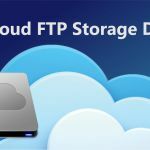 This might sound a little bit crazy, but you can build an extremely inexpensive cloud storage by yourself – read more here: Cloud FTP Storage DIY. I have many old camcorder 8mm cassette videos. I’ve taken the first step of converting them to digital video files on my laptop computer (Windows 8.1) Is it possible to load these videos to a cloud service that can be accessed by my kids from their computers? Videos are from the 90’s when kids were young, played sports, at home, etc. my 4 kids are living all over in Texas, Missouri, Oregon, and Alaska. If this is possible to do, can you recommend a good cloud service for this? Thanks! You may consider storing your videos in Google Drive if 15 GB is enough for you.